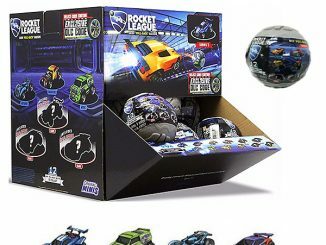 Fans of the wildly popular video game Rocket League now have the chance to bring the adrenaline-fueled action to life with this Hot Wheels Rocket League RC Rivals Set. 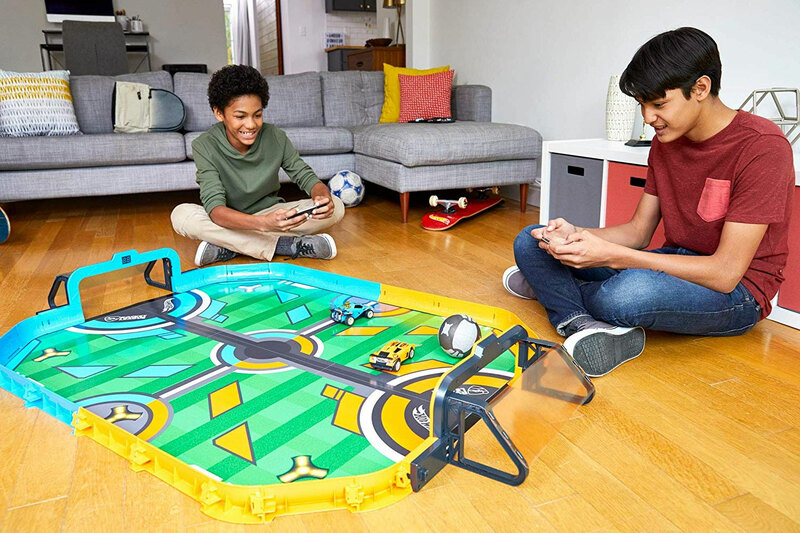 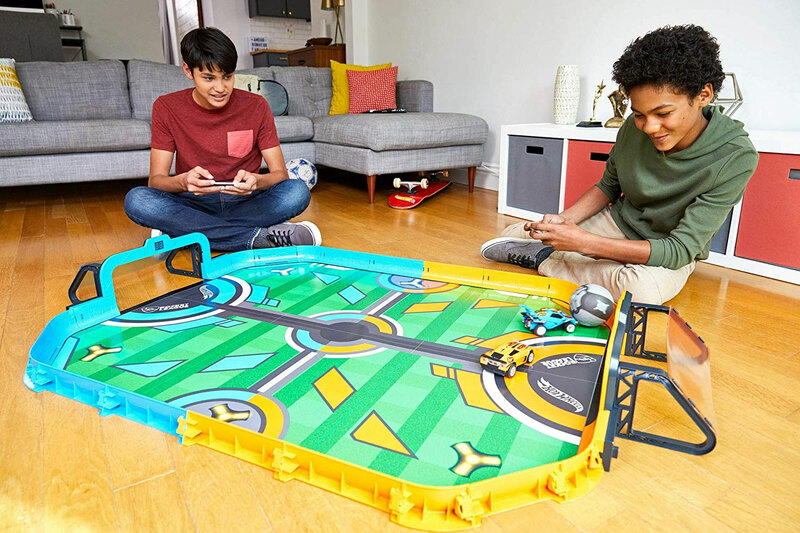 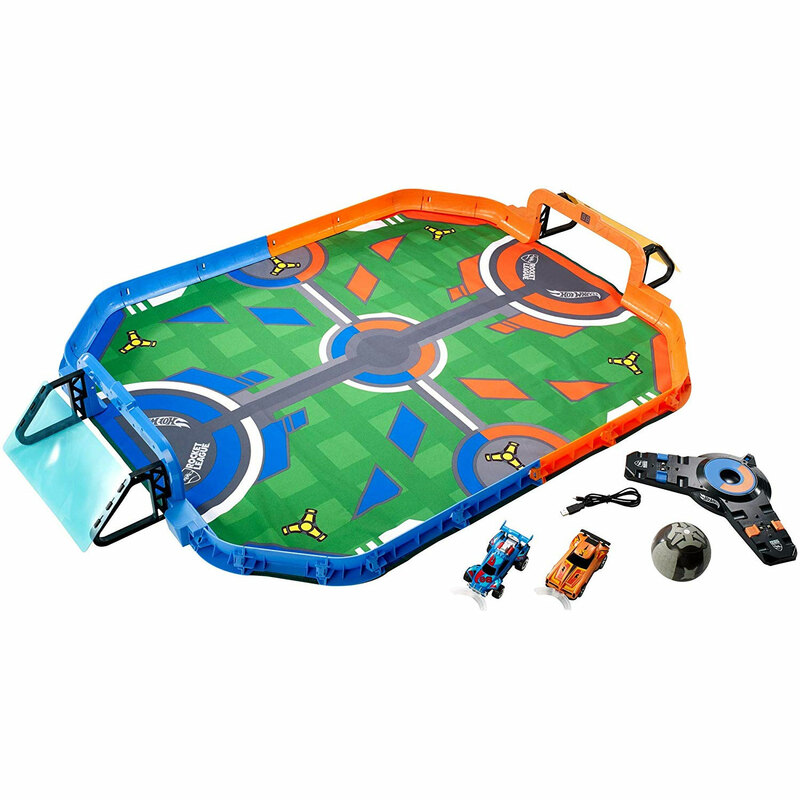 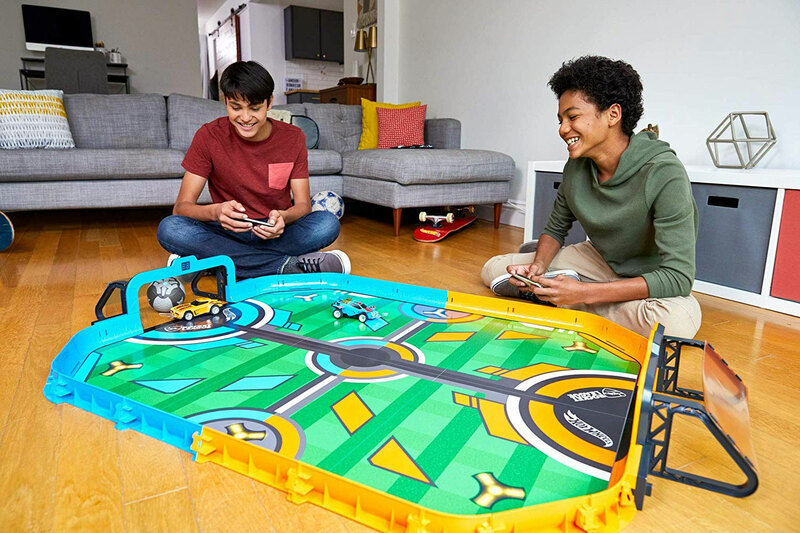 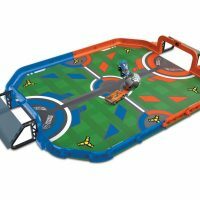 With this set, players control RC vehicles with their Apple or Android device as they battle in a high-tech arena. 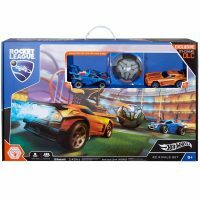 It includes Octane and Dominus, and they’re tricked out with LED thrust indicators and vehicle bumpers with clip-in push bars for ball handling. 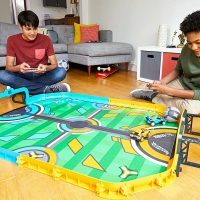 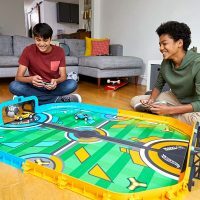 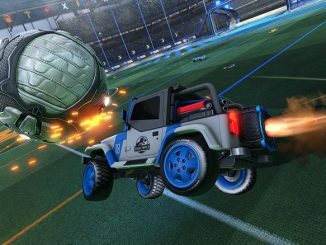 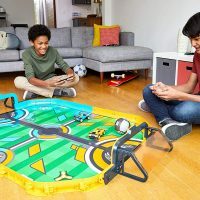 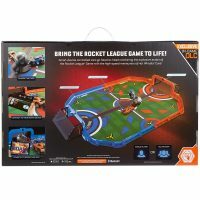 Like in the video game, the goal in Hot Wheels Rocket League RC Rivals is to smash the giant ball into the goal and rack up the most points before time runs out. Included is a master charging station, to juice up the cars’ LIPO rechargeable batteries. 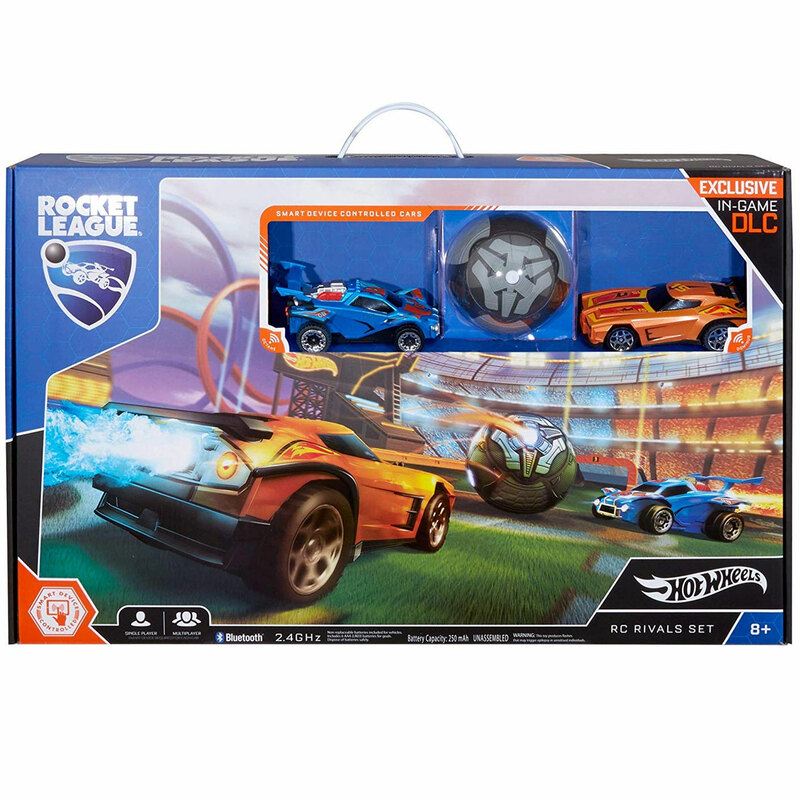 This set also comes with awesome Rocket League downloadable content (DLC) that players can redeem in the video game. 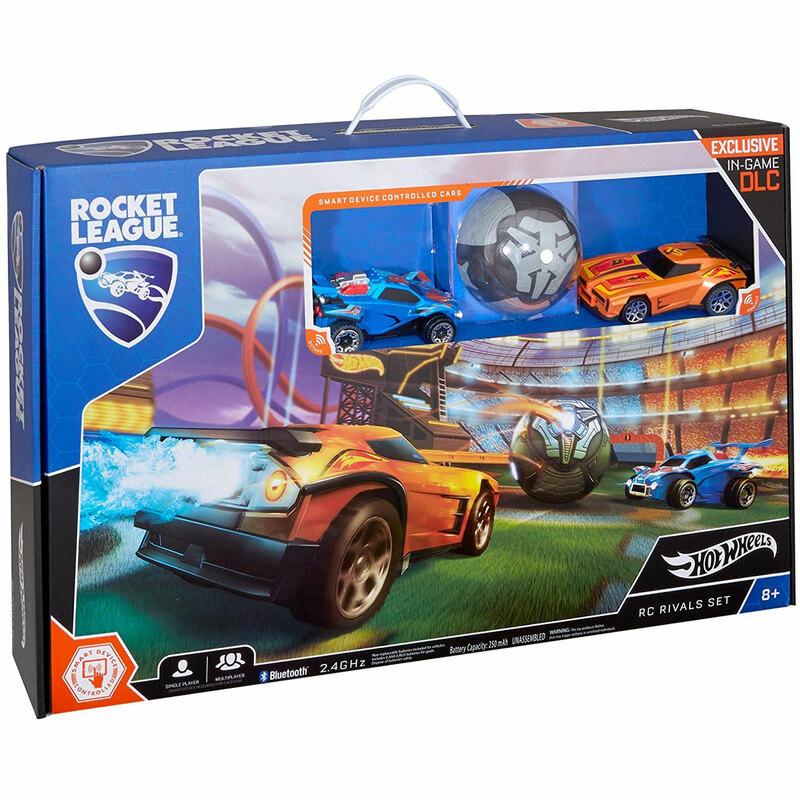 Players master skills and fuel creativity with experimentation, while playing soccer with cars in the Rocket League RC Rivals Set! 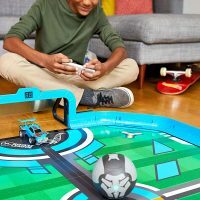 Connected goals will track score and send it to your smart device for a gamified experience. 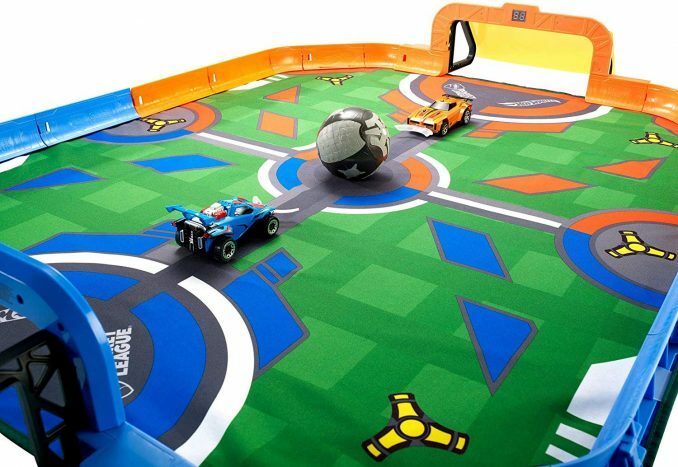 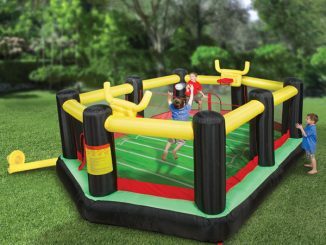 The arena walls mark the playing field as well as a massive custom foldable mat. 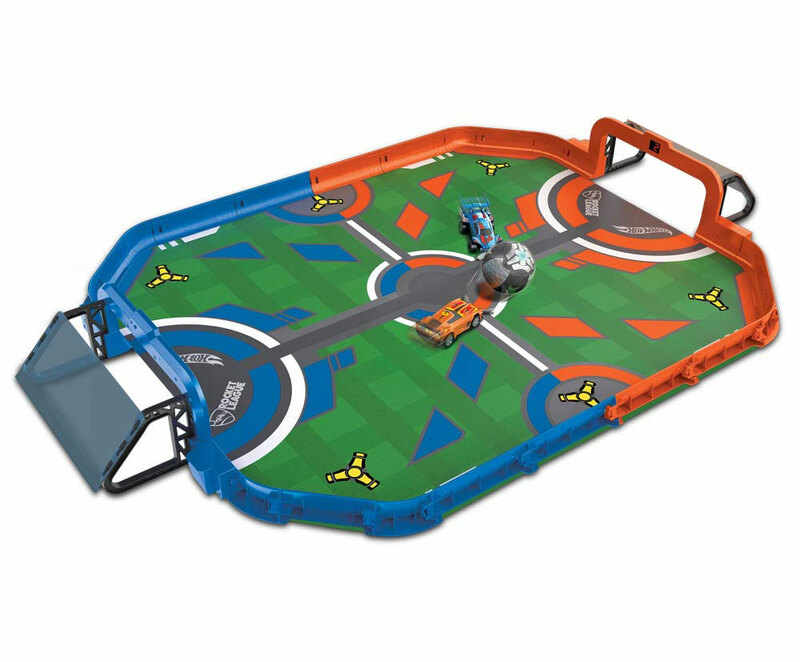 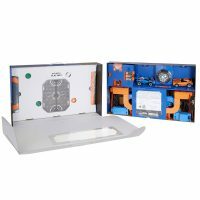 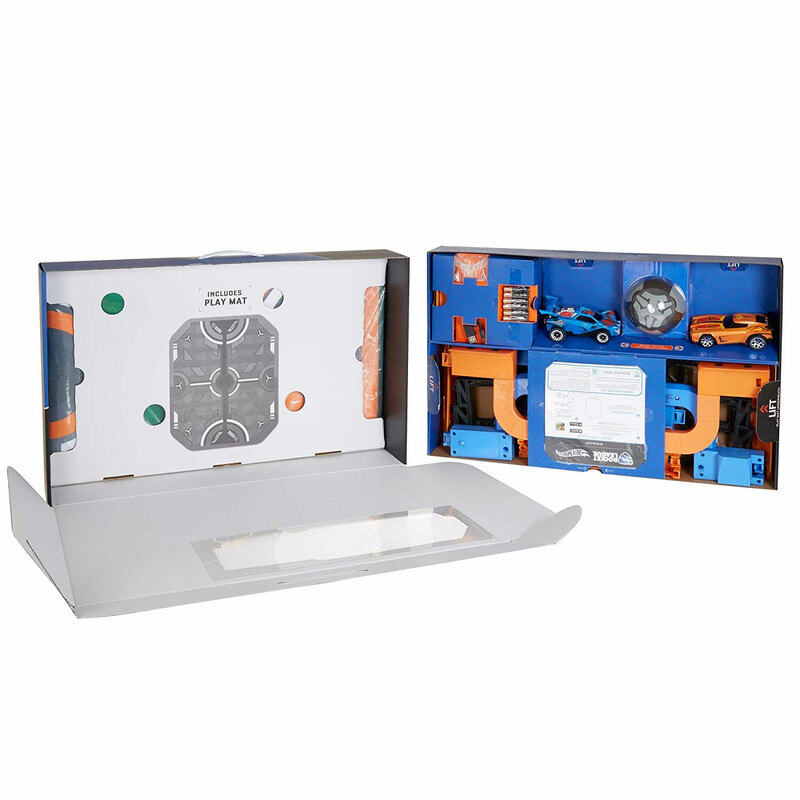 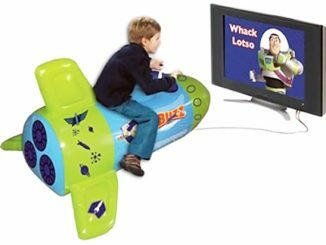 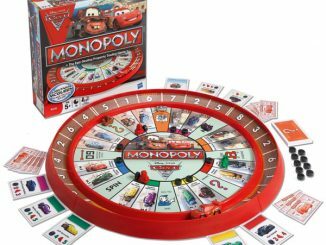 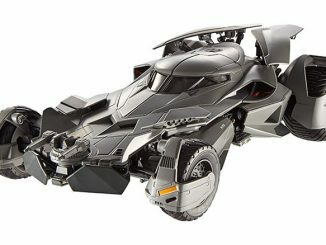 Amazing features include LIPO rechargeable batteries for the cars, LED thrust indicators, and vehicle bumpers with clip-in push bars for ball handling, and a master charging docking station! 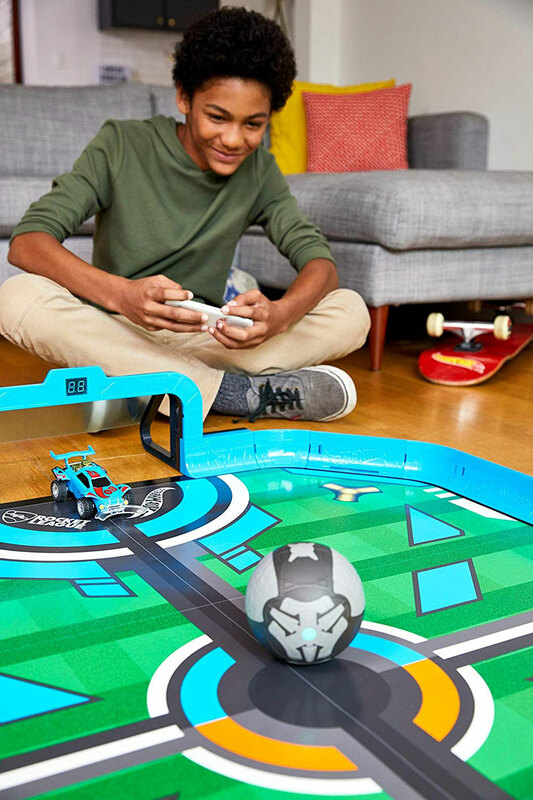 Download the free Hot Wheels Rocket League app used to control the RC cars, add turbo boost, digital scorekeeping and cheering sound FX and animations! 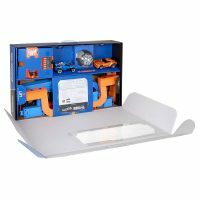 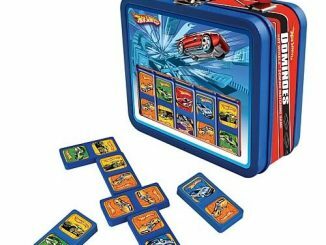 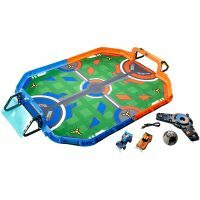 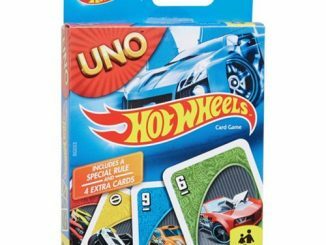 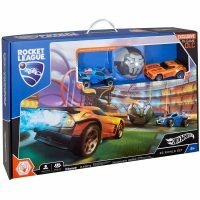 Hot Wheels Rocket League RC Rivals Set is $179.99 $150 at Walmart.com. 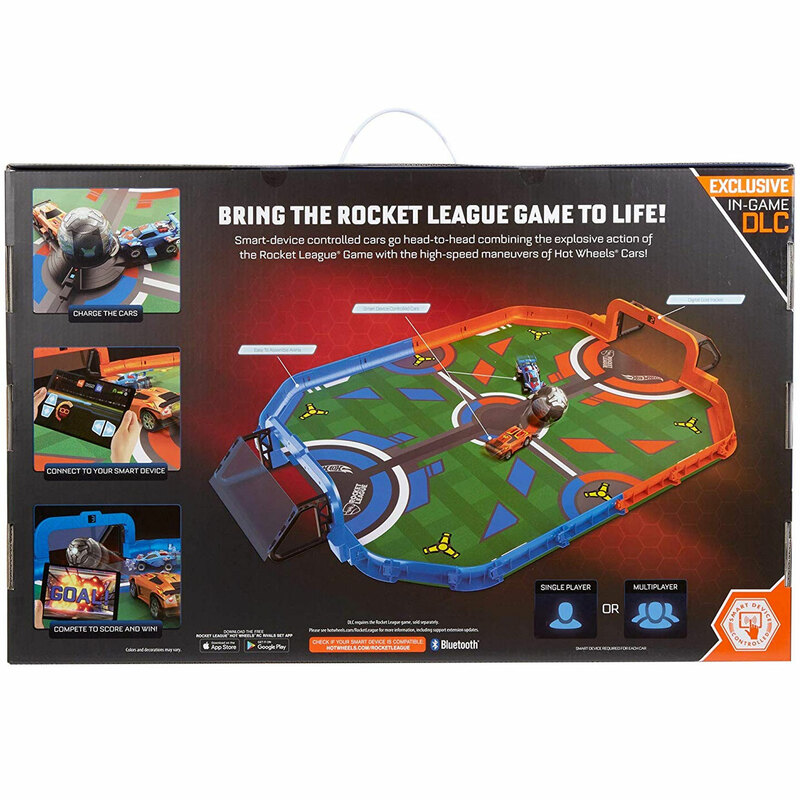 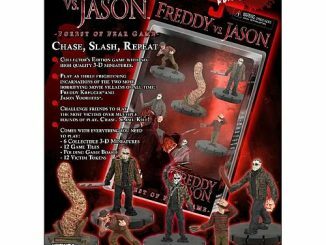 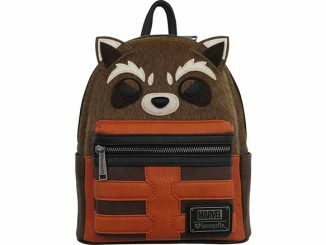 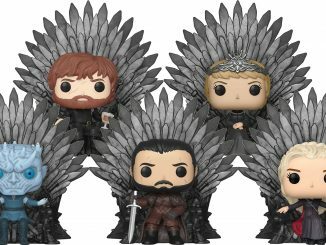 You can also buy it at Target or Amazon.